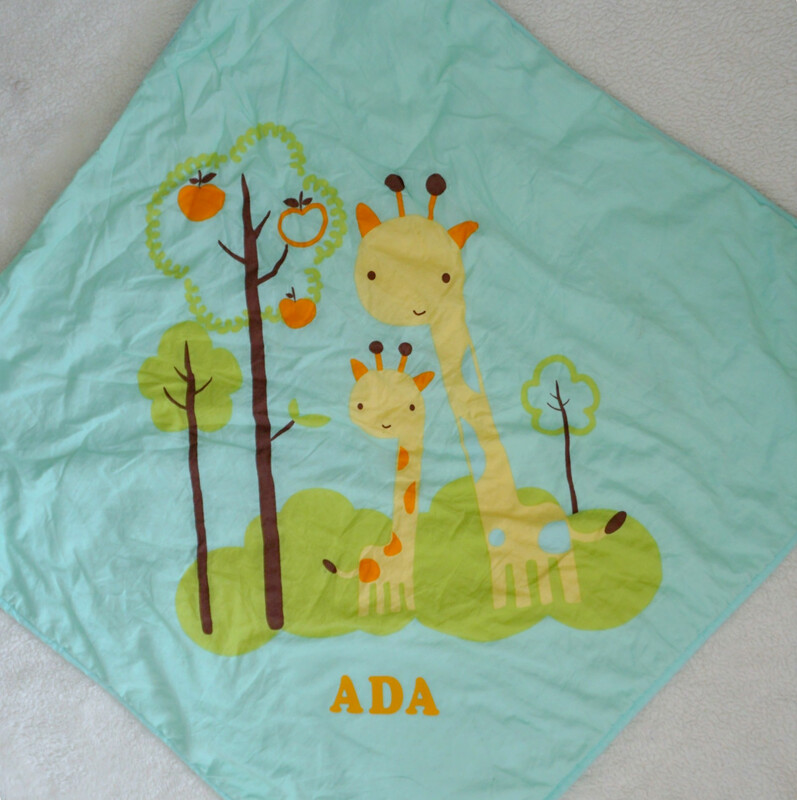 When my first daughter was born, I saw her wrapped up in her baby blanket. 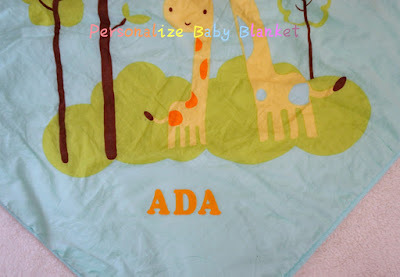 I thought it was so so cute and was determined to keep her first blanket forever. I went online and ordered some iron-on name tags. I think the name tags are from TinyMe. Good quality but Pricy. So for my second princess, I decided to go for a more affordable solution. I spotted this package of iron-on letters in Micheal's last year. It cost less then 50 cents. I had to get it. What am I gonna do with them? I had no idea back then. Now, my second baby was born. My mom picked up this beautiful baby blanket for her. 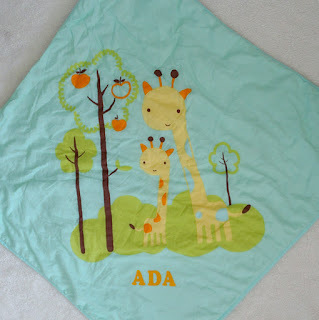 It is mint green color with cute giraffe print. The light orange colored iron-on letters are a perfect match for this blanket. During baby's nap time, I took my iron out and read the instructions. Took me 5 minutes to get the whole "project" done. Yes, the letters are not aligned perfectly because I just eyeballed everything. I like how it looks. Perfectly imperfect. Love you, my baby Ada.